The 7th Annual Boston Handmade Marketplace is fast approaching THIS Sunday, July 13th from 11am-4pm in Union Square, Somerville, MA. Join us for a celebration of all things art and craft including original handmade decorative and functional works by a myriad of local New England independent artists, with craft demonstrations and DIY activities for people of all ages, live music, and more creative fun than you can shake a knitting needle at. Here is your first preview in a week-long series leading up to this weekend's Marketplace to give you a sneak peek on all the handmade greatness that's coming your way. Today the spotlight is on: TEXTILES. The 2014 Marketplace is delighted to showcase five exhibitors working exclusively in textiles. 1. First time Marketplace exhibitor and Boston Handmade Member Loomination creates handwoven wearables and home goods. 2. Also exhibiting at the Marketplace for the first time, Boston Handmade Member Stephanie Cave Design Studio creator of handmade accessories and necessities for babies, toddlers, and adults. 3. Exhibiting for her 2nd Marketplace season, Boston Handmade Member Abigail Leigh Handbags specializing in handmade handbags and accessories. 4. Boston Handmade Member Enchanted Hue maker of Shibori and hand painted silk scarves and home accessories also joins us for a 2nd year running. 5. 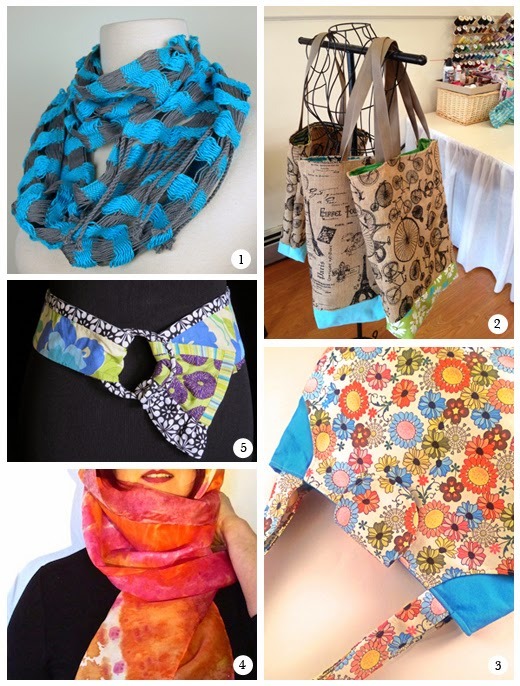 Debuting as an invited guest at this year's Marketplace is Robinwoods Design with unique handmade fashion accessories. Keep your eyes open because several of our other exhibiting artists and craftspeople incorporate textiles into their work as well and you never know who might be doing some needlework during the day!